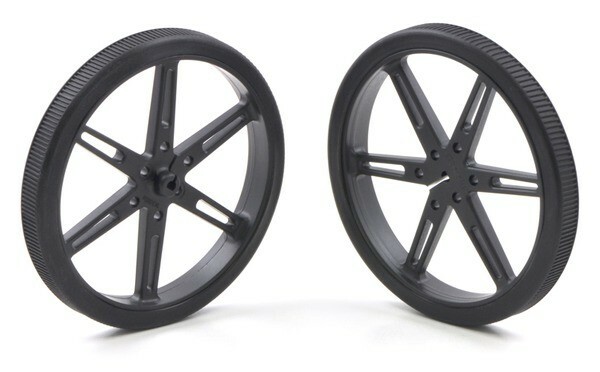 The wheels have treads, so they negate the influence of surface contamination on friction and grip. The mounting hole is matched with the shafts of the Pololu micro motors. The wheels cooperate also with plastic engines with a corner. 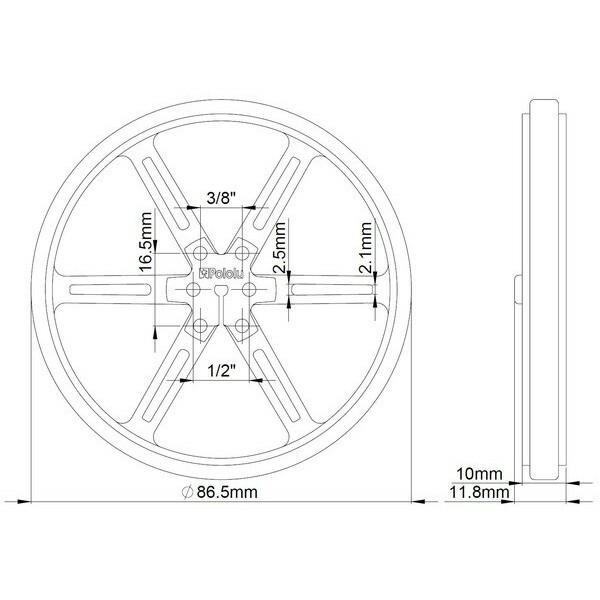 In order to ensure connectivity with various kinds of drive systems developed were special adapter (hub) fit for shaft diameter: 3mm, 4mm, 5mm and 6mm. 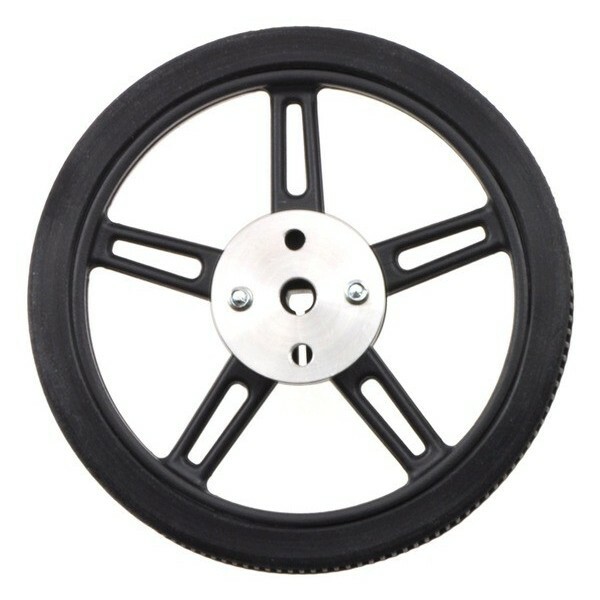 The diameter of the tyre is 80 mm. 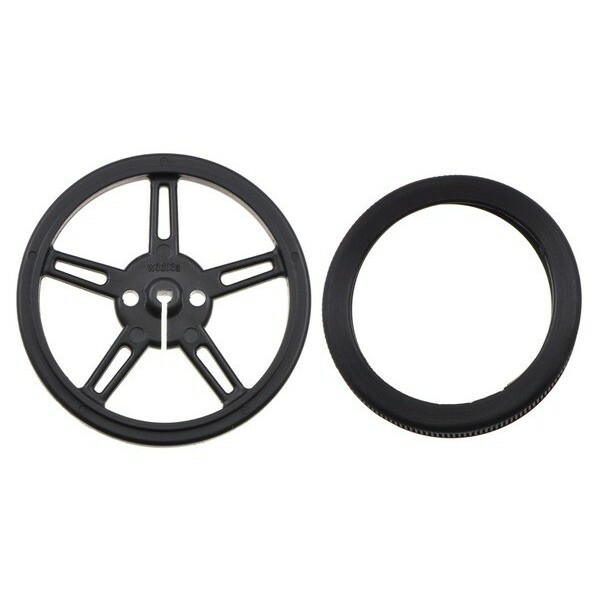 General Width 10 mm Mounting hole has the shape of a letter D with a diameter of 3mm. 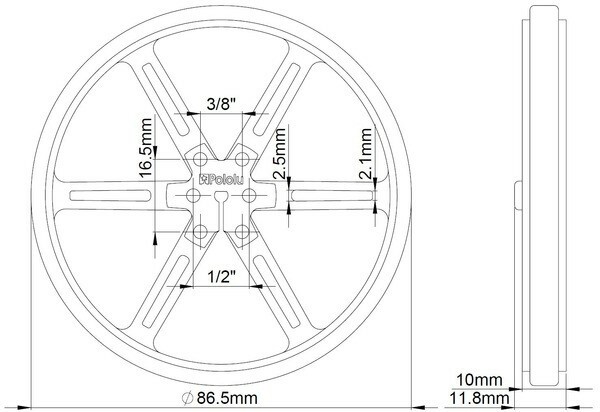 wheel Dimensions shown in the figure below.